It is no mystery why the CDC gave measles a lot of attention in the NPRM. 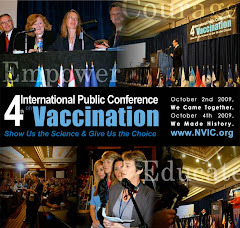 Measles is the next infection that the World Health Organization and Centers for Disease Control want to “eradicate” through global forced vaccination programs like they did with smallpox and polio.4546 In underdeveloped countries, armed police with dogs join forces with doctors with syringes and hunt down every last citizen to get them vaccinated 474849 with, in this case, it would be an MMR shot or two, or three…or more. 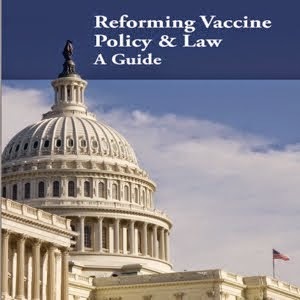 Public surveys show that 87 percent of parents have declined one or more federally recommended vaccines for their children 63 and one-third of all U.S. adults 64 and 42 percent of Americans under age 30 65 don’t think parents should be forced to vaccinate their children. That is a lot of Americans wanting to exercise freedom of thought, speech and conscience when it comes to vaccination. But even supporters of mandatory vaccination laws need to pause and reflect upon a federal government plan to take into custody and quarantine people who have a rash or cough a lot. Just read the hundreds of public comments already posted on the CDC’s website by outraged citizens. 66 After you do that, please post your own comment, too, before Oct. 14 and contact your members of Congress, 67 who may not be aware of what the CDC is trying to do. Signing an online petition or “liking” an article on Facebook is not enough. You need to make direct contact by phone, email or in person with the people who represent you in Congress and express your sincere concerns.